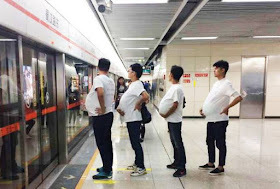 Four men with artificial pregnant bellies gathered in Subway Line 2 in China. The men wore T-shirts printed with statements like "Pregnant women do not have it easy, please give them more space, freedom and tolerance,". 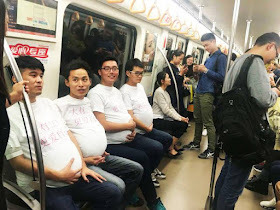 The "pregnant" men were all supportive fathers-to-be. 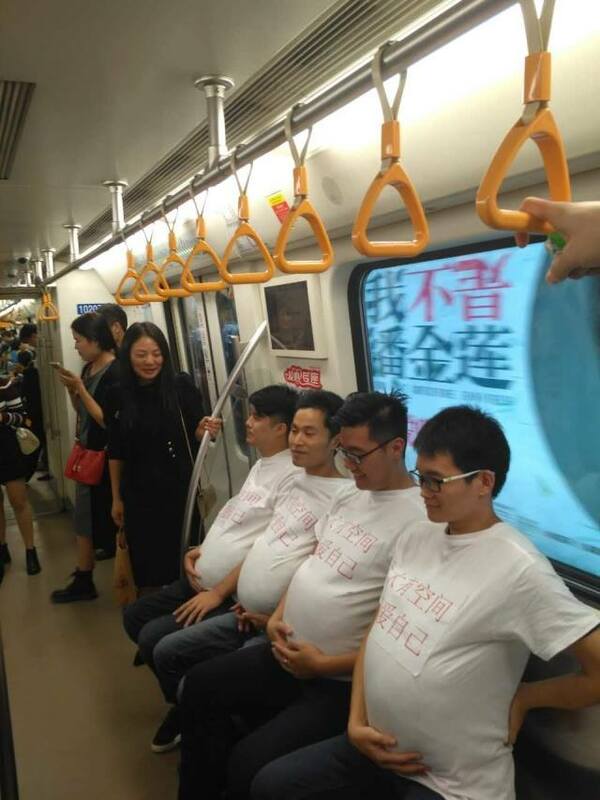 Their goal was to demand greater support for women during pregnancy.